Sometimes parents who are splitting up use a process called mediation to try to reach an agreement on the various decisions they have to make. The process is led by a mediator, who has been trained to act as a neutral third party in order to help people resolve their conflicts. One or both of your parents may also have a lawyer during the mediation process. Unlike a judge, a mediator has no decision making power. 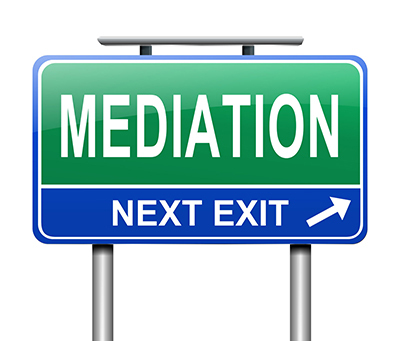 If your parents use mediation, they will meet a few times with the mediator at their office. The mediator will try to help them reach an agreement that meets everyone's needs. They will not have to go to court unless they are still unable to reach an agreement. Sometimes, teens can be involved in the mediation process. You may be present during the mediation, for some or all of the sessions. Or, you may be brought into the mediating room after an agreement has been reached, so that the mediator and your parents can tell you what has been decided and get your acceptance.